Goldwind Science & Technology Co., Ltd. (Goldwind) has announced the successful installation of wind lidar system ZephIR DM by Beijing New Energy Technology Ltd. (BNET) on the company’s 6MW prototype direct drive permanent magnet wind turbine. Goldwind confirms ZephIR lidar systems will be used for optimising the prototype turbine before it enters mass production, measuring power curves, and to understand the effects of wind flow propagation on the turbine’s performance. Working with DNV GL, the 6MW turbine will then be certified using ZephIR wind data before the programme begins to focus on lidar-assisted control. Both turbine and lidar are now operating at a test site in Dafeng, Jiangsu Province on the country’s eastern coast. 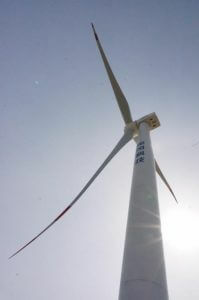 In March 2015, Goldwind decided to accelerate the pace of development of the 6MW turbine, moving all funding to the Dafeng manufacturing base tasked with building the turbine. The direct drive machine, which has a rotor diameter of 150 metres, is the result of an upgrade from a previous 5MW turbine development project. ZephIR Lidar provides award-winning lidar designs to OEMs uniquely providing full rotor wind measurements upwind of a wind turbine to measure power curves to an industry-approved standard, to identify opportunities for design optimisation and to troubleshoot operational turbines. 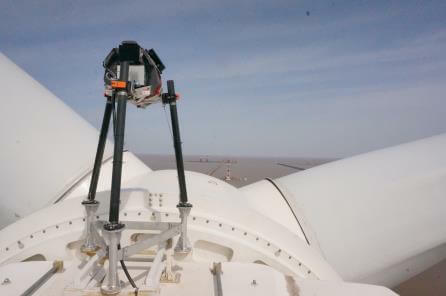 This deployment continues the trend of ZephIR turbine-mounted lidar products being used on many of the world’s largest and most advanced wind turbine designs worldwide. © 2016 Zephir Ltd. All rights reserved. ZephIR, Zephir, ZephIR 300, ZephIR DM, ZephIR Care, ZephIR Power and Waltz are trademarks of ZephIR Lidar. Other company and product names may be trademarks of their respective owners.